The Darkblade is your target this week. The weekly reset has come and gone for the “Balanced PvP? What balanced PVP?” Destiny and that means new activities with new modifiers. 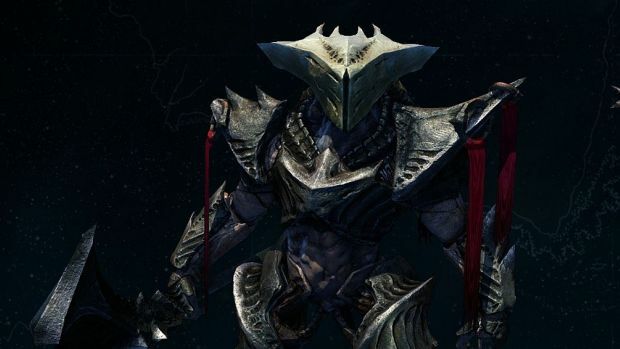 The Nightfall this week is The Sunless Cell, taking players back to Oryx’s Dreadnaught to battle Alak-hul, the Darkblade. Modifiers include Epic, Specialist, Juggler, Airborne and Arc Burn so get those 4th Horseman shotguns out and go wild. The shotgun fun carries over into the SIVA Crisis Heroic playlist as well with modifiers like Heroic, Arc Burn, Specialist and Exposure active there. It should certainly make Zavala’s Strike bounties this week – which include Strike Elite (earn Gold, Silver and Bronze medals); Sunrise (earn Gold medal and complete Nightfall in the time limit); and Clean up (150 fireteam kills) – more fun. The raid challenge for Wrath of the Machine is Aksis, the final boss in the Rise of Iron raid, while the Warpriest will be the challenge for King’s Fall. While the latter may seem useless, it is a good way to earn Year 3 Exotics. For more information on material exchanges with vendors, other bounties, Iron Lord Artifact rolls and more, head here.